My decision for this theme was to feature a technique that I have always shied away from because I felt the technique was too complicated or I just could not master it. 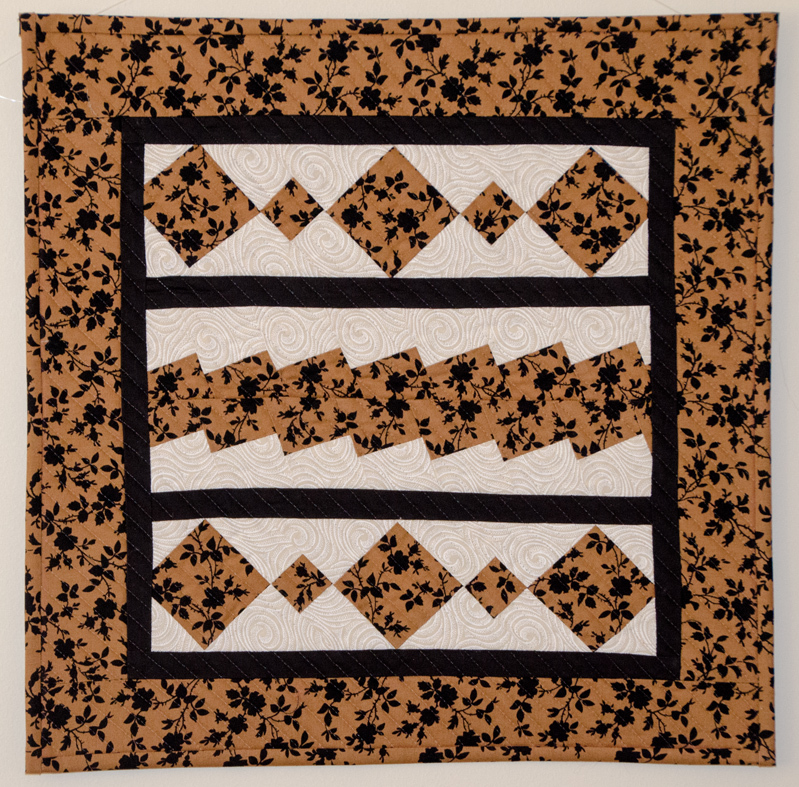 And that is piecing, I never seemed to be able to match points or sew straight, so to me “Progress” would be selecting a form of piecing and my choice was “Seminole Patchwork Piecing”. 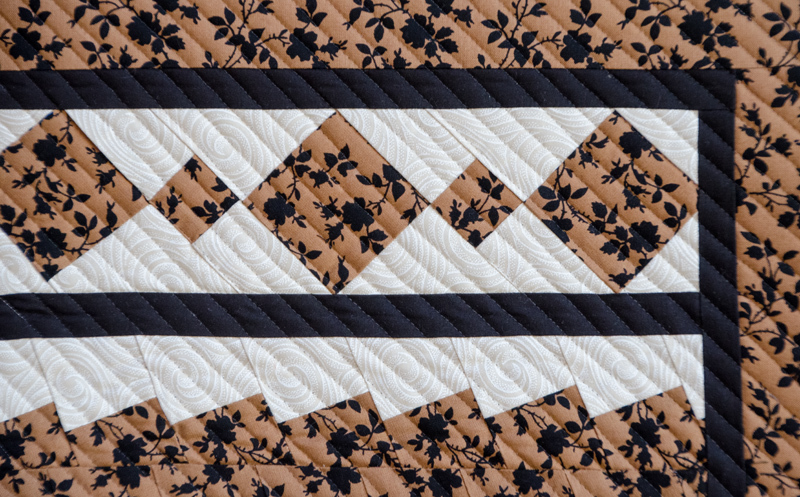 The fabrics chosen were all commercial and I quilted on the diagonal. It was progress in the sense I am satisfied with the results, but oh give me abstract. For someone setting out on a new technique, you’ve certainly done really well – progress indeed! Wow Kaylene. This is really progress in piecing.